Life is colorful and—based on photo sharing online—big. Big moments, big vacations, big colors. Life is just big. That’s the premise of a new ad for Apple that’s launching today, touting the brand’s new iPhone XS, which has the largest display in the product’s history. Director John Hillcoat, who also directed the Cannes Lions-winning film Corazón, puts a vibrant spin on the spot, with an energy and pace that is well-suited to the music choice, “Catch My Breath” by Confidence Man. In the first seconds of the ad, which is entitled “Growth Spurt,” it’s easy to think that this will be a simple ticking off of product benefit boxes, yet almost immediately we are treated to a clever twist on the theme of scale. 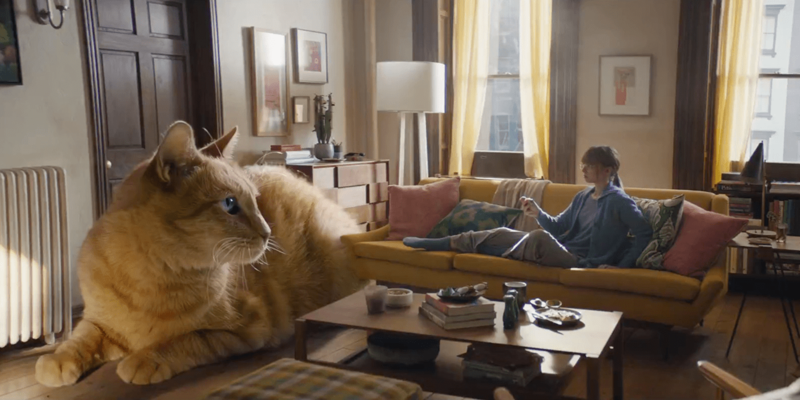 First, a young woman takes a picture of her orange cat, only to be surprised that the kitty is now the size of her apartment’s entry. Next, in true “Look at my brunch” Instagram fashion, a millennial snaps a photo of her avocado toast, which then transforms to a massive size. From there, we see a baby turn into a giant taking its first step, a colossal Corgi and an extraordinarily tall woman in Mexico on a group FaceTime chat. There are also cameos from Super Mario and golfer Rory McIlroy. Though it’s about the product, the ad focuses on the idea that the iPhone XS isn’t your ordinary, run-of-the-mill product but rather something that rises beyond simple utility and captures those things that deserve to be … bigger.